Great Weather for Media Reading This Wednesday! 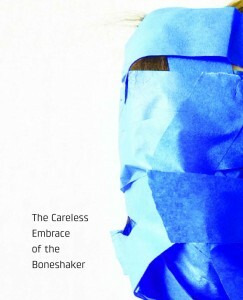 In celebration of the release of their fifth annual anthology, The Careless Embrace of the Boneshaker, Great Weather for Media returns to Pacific Standard for a night of boneshaking poetry. 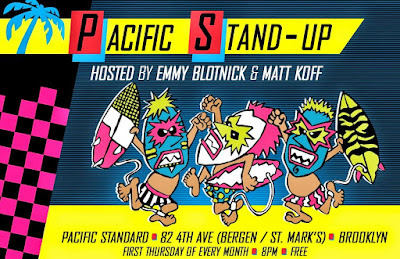 Plus, co-host Emily Blotnick returns! Along with host Matt Koff! And house band Tony Zaret! Date/Time: Thursday, September 22, 8 pm. 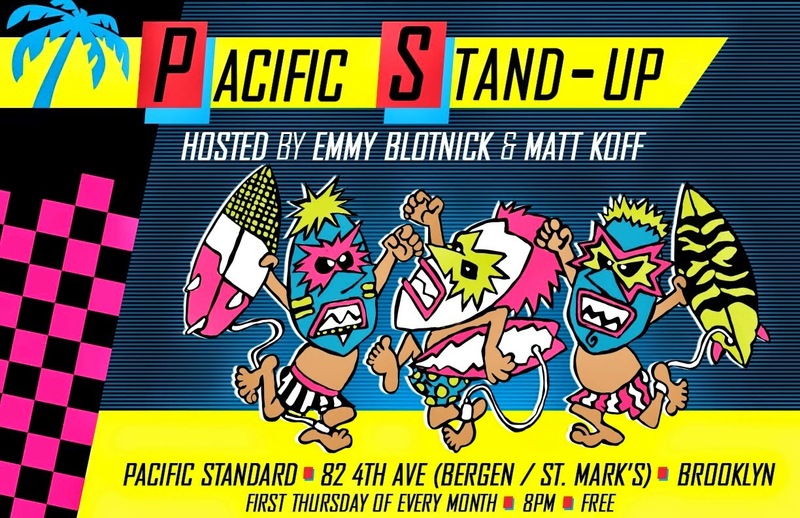 Standard Time Comedy Show this Thursday! Standard Time returns this Thursday for another exiting and hilarious show! This time they've got HARD HITTING stand-up from Alex Ptak (Fingerlakes Comedy Festival), Wanjiko Eke (Charm City Comedy Festival), and Patrick Hastie (Beast Village Comedy Festival)! AND an even HARDER HITTING interview with Chris Calogero (Not Quite Midnight)!!! Date/time: Thursday, September 15, 8:00 pm. Pub Quiz Season XXI Playoffs! (2) Newtown Kriek vs (11) Move to the Poconos! If you didn't make the top twelve, the quiz will just be for the usual prizes for your team during the playoffs. Also, any playoff teams that don't show up will be subbed in for with any other teams that do show up, based on the final season standings. Grabbing the Apple Reading this Thursday at 7 pm! 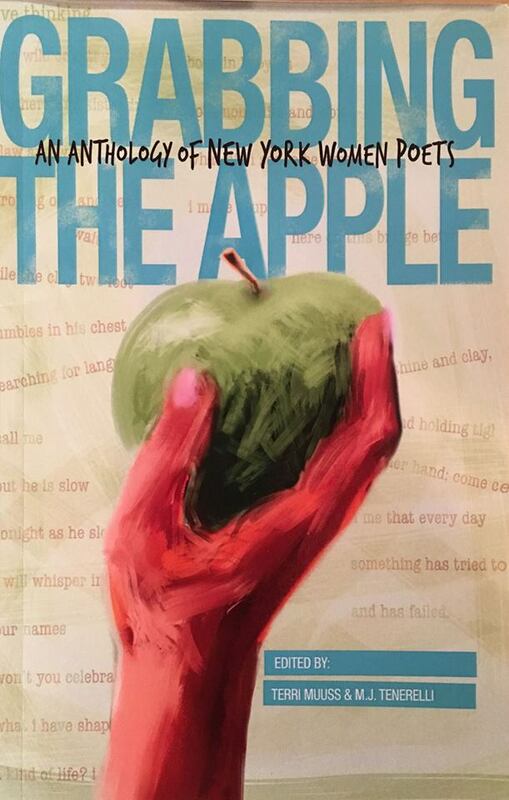 Grabbing the Apple (JB Stillwater Publishing, NM) is an anthology of poems by New York Women Writers. Readers will be Terri Muuss (co-editor), Gabriella Belfiglio, Teri Coyne, Linda Kleinbub, Jane LeCroy, Liv Mammone, Stella Padnos and Miriam Stanley. Books will be on hand for $14.00. 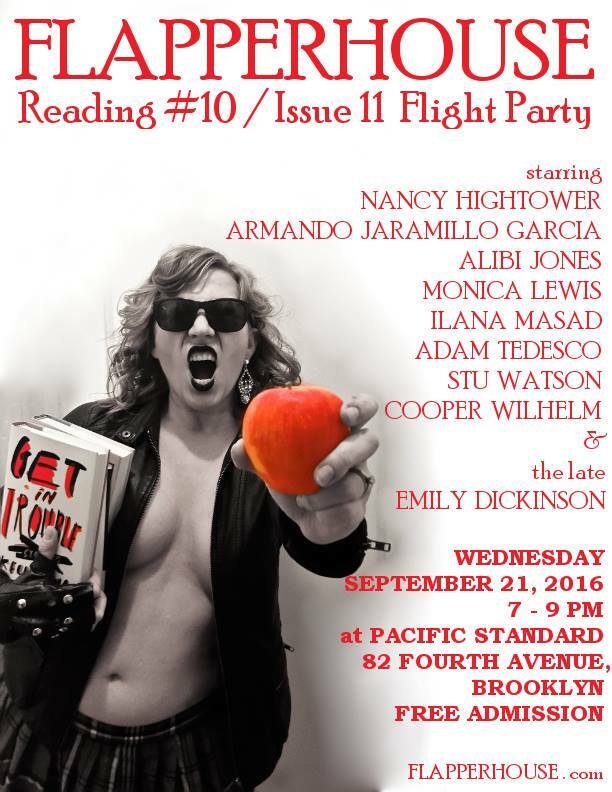 Please come out to support local authors and an independent press! Date, Time: Thursday, September 8, 7:00 pm. 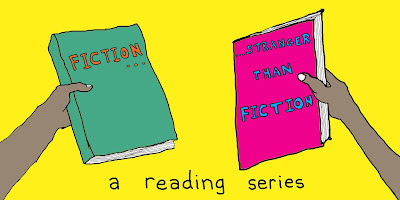 Fiction Stranger Than Fiction this Wednesday at 7 pm! Join us for FICTION STRANGER THAN FICTION, a reading series spotlighting writers whose work radically undermines conventional approaches to language, form, style, theme, content, narrative, and structure. Following the readings, John Madera will lead a conversation with all the readers. The event is free and open to the public.